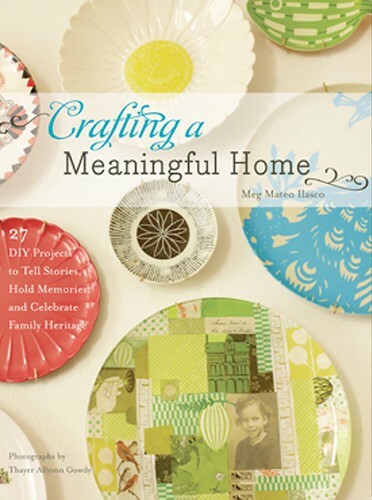 I was so excited to receive Meg Mateo Ilasco’s new book Crafting a Meaningful Home. My family banner is one of 27 DIY crafty projects featured. It’s hard to believe that last summer while very pregnant Meg and her creative team came to my house to shoot the project and here on my desk the finished book sits. You must pick up a copy to see clever ideas from my pals Anna and Sean of Sub-Studio and many other fabulous artists. The link is in my shop too! Hi Samantha! Hope all is well! I love your banner in this book–cute photo too. Can you believe summer is almost over! Hey MJ, no I cannot believe summer is almost over. I can’t stand it in fact!!!!!!!! I want another month. Thanks for the comment and compliment. Big XO. Hi! i from spain , i like the craft and desing to you have to much nice things here this is mi blog whith my creations , bye!